This past Saturday, gamers of all stripes from all over the world set themselves to a task. To play for 24 hours (25 with daylight savings time) to raise money for Children's Miracle Network Hospitals. 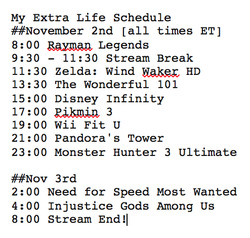 It was my first time participating in the Extra Life event, and my kids and I decided to make it a family affair. We chose Sick Kids Foundation here in Toronto, a hospital that provides care for thousands of kids each year. I should know, I was one of them! We started at 8AM and live streamed the whole thing to my twitch channel. It was an interesting day, because we had to take a break right at 9:30 in order for the kids to attend their dance class. I continued to game a little bit by playing on my 3DS! After that momentary break, we got right back to it. I really had no lack of choice of games to play, as I've amassed quite a bit of a backlog recently, so it was a great chance to move ahead a bit in my games. Rayman was a multiplayer affair, with the kids tagging along as we played a little Football first, and then did a few of the beginning levels together. With Legend of Zelda: Wind Waker HD, I travelled to Dragon Roost Island, and figured out a few things on how to get to the top of the darned mountain and see said dragon. Then things got interesting, because the kids wanted to play Boom Blox on the Wii, while I wanted to stream The Wonderful 101. Well, with the Wii U's Off TV play (shameless plug) we were able to do both! I felt that The Wonderful 101's mirrored mode was an interesting design choice, as those of you who watched the stream will have noticed. The game puts the display of what otherwise would have been on the Gamepad into a small picture in picture window at the bottom right corner of the screen. It wasn't until about an hour that I figured out how to make that screen go away when not needed, so it wouldn't block the subtitles. I had fun playing it, and I was required to use the Right Stick to make my drawings, which took some getting used to. I definitely would appreciate another go at the game using the normal control scheme and dual screens. What fun, though! It's fast paced, frenetic action, the way only Platinum knows how to do. If you have a Wii U you need to get this game. Then it was Disney Infinity time, where I mostly handed the time over to the kids. They played through parts of the Incredibles missions, while I explored some of the Pirates of the Caribbean levels. Then I left to catch a short break while they played the Monsters University area and showed off the toolbox to some of our friends who had arrived.After that it was Pikmin 3, where we did a little Bingo Battle mode. This pits two players against each other in a race to collect fruit in the same arena, to see who can be first to get four in a row on your bingo card. That was a lot of fun, and after that I tried some of the new missions available. There are fruit collecting missions, and there are creature battle missions. Neither one was I very good at, sadly! I need more practice managing everything, right now I'm definitely a beginner level Pikmin player. They should have Pikmin tournaments, like they have Starcraft tournaments. Seriously, Pikmin 4 should be made into a Starcraft type online tournament game, it would be awesome. After that it was time to try out Wii Fit U for the first time. This game was just released on Friday, so it was brand new and there was lots to explore. Having only experienced the first Wii Fit and not gone in for the Plus version, there was much to explore in Wii Fit U. Nintendo have really added a lot of new modes, including and entirely new Dance mode, and have included refinements and enhancements to your old favourites. I tried a trampoline jumping game, luge, squash, and kung fu, all of which were fun, but were not part of the core strength or yoga parts of the game. I'm looking forward to getting more out of this game, and Nintendo have made it more community and online oriented this time, with the ability to join a gym with other players. Then it was time to unwrap a new game that I had been saving: Pandora's Tower for the Wii. This is an action/puzzle RPG, with an interesting story premise. There is a girl who has a curse mark that is slowly turning her into a monster. Your task as the hero is to go into various towers of a castle and defeat monsters and bosses to get some of there flesh, in order that the girl might eat it and temporarily gain some respite from the curse. Yep, pretty messed up. I managed to get to but not finish the second tower in my 2 hour sitting, and I liked what I saw. At around 11PM I started Monster Hunter, and any of you who know me will know that this is my favourite game. I've put about 380+ hours into the WiiU version, and over 300 into the Wii version, so what's 3 more hours, right? I was joined online by a few buddies and we did a bunch of quests, ending off with a glorious 4 monster arena battle ending with Savage Deviljho. G-Rank is tough, and I did cart several times, but I didn't fail any quests. That's probably a testament to my teammates skill rather than anything I contributed, but we had fun. The nice thing about playing with super high skill players in Monster Hunter is that by this time, everything is sort of just for fun at this point. At least the people I play with are. Shout outs to Kaze, Daimao, and Sheppie for helping me stay awake! It was a bit surreal to look at the clock and see 1:45 AM, and then look at the clock a little later and see 1:05AM. That's what being awake for the time change is like. You get to experience 1AM all over again. At 2:00AM (the real, post time change 2:00AM) I switched to Need for Speed Most Wanted. I had bought this a while back on sale, but hadn't cracked it open yet. It looked gorgeous, I really appreciated the wet roads and the reflections, they looked nice. I couldn't get into the driving feel of it, I'm not sure if it's the game of the controller, but every car just felt sloppy. It was as if small inputs wouldn't move the car, and then long inputs were too big. Maybe I've just gotten out of the habit of driving with a controller, since I got my wheel for the PC. In any case, I did have fun trying to outrun the police all the time, but I didn't really do too well on the races, not knowing the map too well hindered me there. After a few hours of that it was home stretch for me, so I put Injustice Gods Among Us in the machine, got out my fight stick, and played through the story mode from the beginning till about chapter 7. It's a fun game, I have no issues with it whatsoever. Love it. And then it was 5 AM. I have to admit that when the kids came downstairs to relieve me and take the last leg, I felt as though the cavalry had arrived. They had readily agreed to wake up early and play video games so that I could sleep a few hours before we had to go out, so I gladly handed the reins over and went to sleep. It's hard to describe the exhaustion, it's not physically taxing, playing video games, but it does take some mental focus. By that time I was done done. I had reached my limit. I think that if I didn't have a full Sunday of activities, if I could have just crashed after the 24 hours, that I would have made it to the end, but practically it was not possible for me to do it. I'm so proud and glad that my kids could get involved and also really help me out. Kudos to you, bookworm and scribbledot. You're the best. As of this writing, the Extra Life weekend marathon raised over $3.6 million dollars for Children's Hospitals, and I'm so happy that I was able to be a part of it. Thanks to all who donated, and watched the stream. You were a part of this too. I will try to do it again next year, and I'll definitely start promoting it a lot sooner next time. To find out how you can participate, go to www.extra-life.org for information. Here's hoping 2014 is even bigger and better! Posted on November 4, 2013 by Eugene Huo and filed under Article and tagged charity extra life family kids video game. Although some parents are still reluctant to embrace video games as an approved family activity, it's easy to see how kids might benefit. 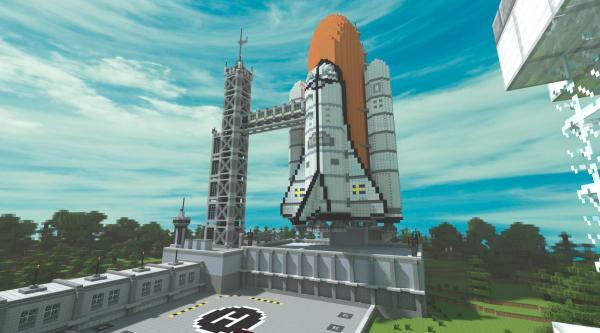 There are dozens of video games that are geared towards learning but even the most basic games teach us to think logically and quickly process large amounts of data. Rather than passively absorbing content from, say, a TV show, a video game requires a player's constant input to tell the story. Most video games are designed to allow players to succeed and be rewarded for that success. Different skill levels and a risk and reward culture mean that most video gamers are not afraid to fail and will take a few chances to achieve their goals. Better yet, video games offer instant feedback on our decisions, helping us learn our strengths and weaknesses. If you're a parent and you're not playing games with your kids, a) what are you doing here? (just kidding, welcome!) and b) why not? There's no time like the present to spend some quality gaming time with your kids. Posted on September 12, 2013 by Eugene Huo and filed under Article and tagged gaming kids parenting. Literary Link - "A Letter to my would-be Gamer Child"
Never daring to blame it on the "lag"
Posted on August 13, 2013 by Eugene Huo and filed under Article and tagged gamer child literary link mom parenting poem. Today I'm joined by Andy Robertson, Wired UK's geekdad and games writer, as well as producer of Family Gamer TV, a YouTube channel devoted to finding great video games to play with family. Andy's guest post today is focused on Minecraft and its growing popularity amongst younger kids. Enjoy! Perhaps one of the reasons that kids like to follow the latest crazes is that parents don’t understand them. The complexity and fast pace of change of most collectable or technology led products makes it hard to keep up whether it’s Skylanders or Disney Infinity or Minecraft. To help out with the last of those I asked a family who were really into Minecraft to put together a tutorial video that would introduce new comers, but also be of interest to fans. As you can see it turned into quite a nice way to discover what all the fuss was about Minecraft. Posted on July 10, 2013 by Eugene Huo and filed under Article and tagged TV family gamer guest minecraft post. Hey, I did a little dabbling in designing some clothing in Animal Crossing New Leaf and came up with this Space Invaders influenced Canada hockey jersey. Enjoy! Posted on July 3, 2013 by Eugene Huo and filed under Article and tagged 3ds acnl animal crossing canada hockey jersey nintendo qr code. That's ACNL for short, for you hipsters. "So, what happened to posting on the blog?" "Have you been playing Monster Hunter much lately?" If there was a game that would get me off Monster Hunter it's Animal Crossing. And New Leaf has got the right mix of game with online and friends list things going on that it's keeping me very interested. Of course my daughter is into it as well, so I try to help her town along as well, that's kind of fun. It's really the first game we've played together as such. There's an interesting article today about how Pokemon and 3DS might distract families away from the Wii U this holiday over at notenoughshaders by Emily Rogers. I submit that this is already happening with Animal Crossing. I hope the numbers are huge for Nintendo this month because of Animal Crossing. It would be a good boost for the company. If it takes the 3DS to carry the company for a while until the Wii U gets its house in order, then so be it. Posted on June 28, 2013 by Eugene Huo and filed under Article and tagged 3ds animal crossing nintendo. You know, Monster Hunter really takes over my life. I've not been playing anything on my pile, just Monster Hunter. How far have I gotten? Right now I'm on the cusp of 200 hours, and I've finished all the offline quests save for the final two (which are devilishly tricky), and online, I've reached Hunter Rank 7. It doesn't sound like much, but once i clear Hunter Rank 8, I've pretty much unlocked the entire game. From there on it's just hunting and questing for more materials for more weapons and armors. Which brings me to the subject of today's post: how do you decide which pieces of armor to put together? In most games, armor is usually rated on the amount of defence that it gives you. The higher the better. 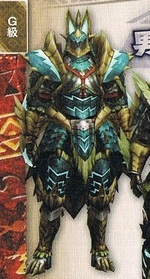 When you come to Monster Hunter for the first time, a common misconception that new players make is that they buy armor based soley on the defence stats. "Oh, this piece of mail has 8 more defence point than this other one, it must be better", and they put together a set of armor that has the most defence points. The problem is, Monster Hunter incoporates a skill point system to its armor that makes it more valuable to put like pieces of armor together, rather than individual pieces with the most defence. In most cases, a beginner should try to make a complete set of armor of the same type, because each piece's skill points will complement and combine together to give you bonus abilities that you otherwise wouldn't have. These abilities, or skills as Monster Hunter calls them, can be anything from increasing your Attack damage, to reducing the time required to drink health potions, or even showing you where the monsters are on the map automatically. Here's the key: skill points must total 10 or more in order for a skill to become activated. Let's take a look. This is the skills status page for my hunter, equipped with various pieces of mismatched armor. See the skills? There's a whole bunch of skills listed, but look at the orange highlighted column on the right: each skill only has 2 points or less. That means that none of these skills are doing anything for you at all. Nada. I often see new hunters with this kind of set up. Here's what I gently say to them: "Why don't you try putting on a complete set? Try all the pieces of the Leather set you started with, maybe, see what happens." Now compare this mismatched set with no skills to the skills I have on my gunning/bowing set, which is a full Damascus set. See the difference? Above the line, I have 5 skills activated. On the right most column it describes what the skill does, and you can see the totals to the left. +15 in Thunder Atk, and +10 in Wide-Range, Slime Coating, Reload, and Protection. These are specific skills that benefit using a bowgun or bow. That's all well and good, but there comes a point where you want to create a custom combination, to try and get certain skills all together that aren't available in a standard complete set. This is where mixing and matching really gets complicated. Knowing which pieces to put together so that you reach that magic number of +10 points in the skill categories you want involves a lot of finangling and juggling. When you take into account the added complexity of gems that can be attached to armor to give skill points, as well as a charm you can wear that also gives skill points (and may even have gem slots), the head starts spinning and my eyes tend to glaze over. 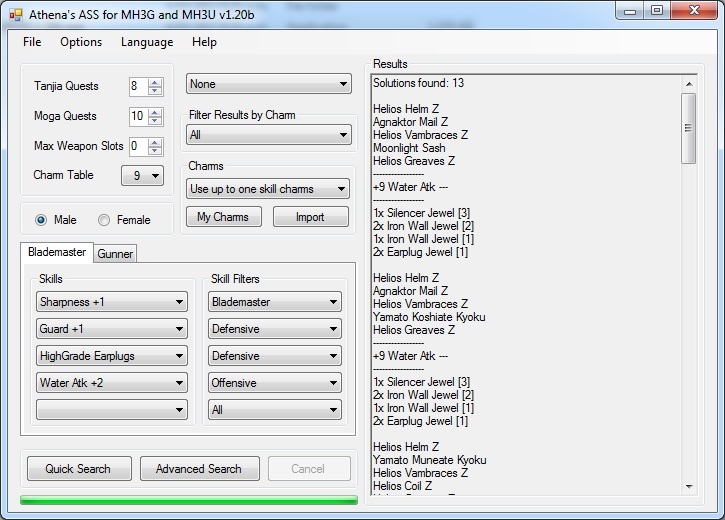 So I recently was recommended by a twitter friend @j_monster a Windows app that automagically determines mixed armor sets based on the skills you want to achieve. Athena's Armor Set Search for MH3G and MH3U is a free download and it really does the trick. You select which skills you want, and it will calculate what combinations of armor pieces will give you those skills. It will also take into account the various charms, how many gem slots your weapon might have, as well as even what level you are at in the game, both offline and online. If you're thinking about what armor set to put together to use with your hammer to take down Goldbeard Ceadeus, for example, now you can just plug in the skills you think you need, and voila! Here's the pieces you could use to achieve that. After all, Monster Hunter is a game as much about the gear and the preparation as it is about executing a plan and killing the monster in the little dance of death that we do. And what a sweet little dance it is. 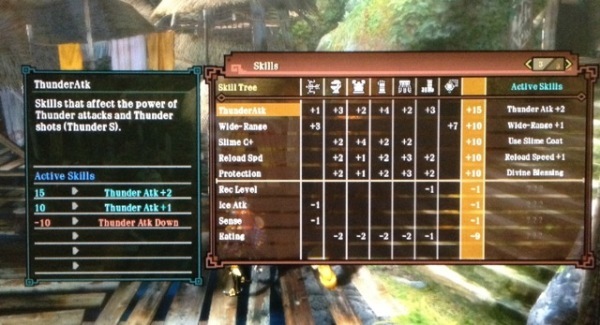 Posted on May 21, 2013 by Eugene Huo and filed under Article and tagged armor skills how to mh3u monster hunter. Three new games also appeared, Fire Emblem Awakening (bundled with the FE 3DS), Luigi's Mansion Dark Moon, and my daughter chose Art Academy Lessons for herself from the promotion Nintendo is running. I've been really enjoying Luigi's Mansion, the game is so cute and fun. Fire Emblem Awakening is also good, but I'm having more difficulty getting into it, being my first try at this kind of game. I'll get my head wrapped around it eventually, but I'm taking it slow. The bulk of my gaming time has been taken up, unsurprisingly, by Monster Hunter 3 Ultimate, into which I've managed to put in about 70 hours since it's release. 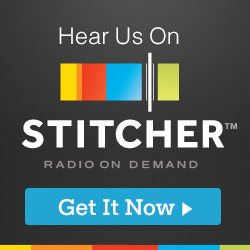 I've been really trying to promote this game to anyone who will listen, particularly over at the gamers with jobs forums. Finally I used some gift cards to purchase LEGO City Undercover, and pre-ordered Injustice: Gods Among Us. So those should see some play time next week and beyond. Posted on April 13, 2013 by Eugene Huo and filed under Article and tagged 3ds WiiU games. Today is the one year mark for gamerparent.net and it's been an interesting and rewarding experience for me. Thanks for sticking it out with me this past year, and for coming by to read the stuff I write. I really appreciate all your comments and feedback. I'm looking forward to a bigger and better year two. Stay tuned for more exciting news, I have something to announce, but I can't tell you what it is just yet! Sorry for the tease, but I think you'll like what it is! Posted on March 22, 2013 by Eugene Huo and filed under Article and tagged anniversary gaming parenting thanks. The embargo lifted today on Ubisoft's next iteration of the Assassin's Creed franchise, Assassin's Creed 4: Black Flag. The reason I know this is because prior to today, information about AC4 was leaking like no tomorrow. Regardless, the best part of the news today is that the game will be coming to Wii U when it launches in November, joining a growing list of new titles that will see release on Nintendo's new console. So let's see, that's how many multiplatform games that have been announced for the Wii U? Oh look, it's ten. Ten games for 2013, from third parties, which are multiplatform. Some of the biggies are missing, of course, probably having been too late to decide to commit to the new console. Tomb Raider, Remember Me, Last of Us, these games aren't going to make it. But most of the other multiplatform games are coming, and that's a good trend for the Wii U moving forward. Add in some exclusives (Monster Hunter 3 Ultimate, LEGO City Undercover, Pikmin 3, The Wonderful 101, Wii Fit U, Legend of Zelda Windwaker HD, and Game & Wario) and there's seven more titles confirmed for 2013. There are definitely more than that, including eShop only games, but as of right now we don't know when some of the other games will be released. Why is this so important? As a Wii U owner, it's nice to be included. Parity with my console brethren, so to speak. The more games that are released at the same time with other consoles, the more likely it is that I will buy those games for the Wii U. I don't get excited about buying an old game that's finally being ported (with the notable exception of Need for Speed Most Wanted). But if a game is coming out at the same time, I'll probably be more interested in picking it up. It's something that as a Nintendo owner for the last generation, I'm not accustomed to being able to do. As always, I'm taking the long view, and it looks pretty good. Posted on March 4, 2013 by Eugene Huo and filed under Article, News and tagged WiiU assassin's creed future multiplatform nintendo. There are a few things that speak to me, as a parent. And usually driving games are not one of those things. But in this rare case, I must make an exception. The upcoming Wii U version of Need For Speed Most Wanted, developed by Criterion, has managed to sneak its way into my heart. How, you may ask? It's not just that Criterion has come out and said that this will be the "definitive version" of the game, nor is it that the team has challenged itself to do right by the Wii U, returning to their roots and making a "bespoke edition" for each console. It's not even that Criterion really likes the Wii U and they want to push the technology as far as they can. No, what really warms the cockles of my heart is the new "Co-Driver" mode, internally and affectionately called "father-son mode". This is the mode where you, the "father" take the Gamepad, and the "son" takes the Pro Controller, or Classic Controller, or even the Mario Kart wheel with Wii mote, all of those will work. The kid does the driving, but the parent, oh boy, the parent gets to assist. From the Gamepad the parent can change day to night, turn traffic on or off, slow down police cars, and even change the car that you're driving at will. If needed, the parent can even take over control of the vehicle. The degree to which you interfere with assist your child is up to you. You can completely take over (if they let you), or you can just give a gentle steering input now and then to keep them on course. My oldest is 10. That means in 6 years, she'll be learning how to drive. And most likely I will be the one sitting next to her as she takes the family car out for her first tentative drives around the parking lot. How will I react? Can I keep my cool, without being overly critical? Can I provide just enough assistance without completely taking over? I realize now what Criterion has done. This is not just a driving game, no. Need for Speed Most Wanted is a litmus test for my relationship with my daughter. A simulation of things to come, in which mistakes are not as costly as in real life, but where the ramifications are every bit as real. Posted on February 22, 2013 by Eugene Huo and filed under Article and tagged criterion driving gaming need for speed nintendo parenting racing wii U.
I'll make a gamer out of you yet, my pretties! Last month, at our annual New Years Day brunch at a friend's house, I noticed an interesting occurrence. My oldest daughter was sitting on the couch, happily playing Skylanders with the younger kids of our host. She had never played it before, but she was getting the hang of it, more or less. This is a marked difference from even just a few years eariler, where she either would have a) not been interested, or b) found it too difficult to control and given up. I blame myself. You see, we don't have a PS3 or an Xbox 360, we have a Wii. And so she's grown up with motion control as the norm, and traditional controllers aren't really what she's used to. I'm sure she'll pick it up eventually, not too worried about that. In a parallel development, she received the first Professor Layton game for Christmas, finished it in about a week, and then got the second Professor Layton a month later for her birthday. She's hooked, as she loves the puzzles, and the cut scenes / storyline. It's right up her 10 year old brain's alley. It's all part of my plan to make her into a gamer, and I think it's working. Before Christmas, the DS had been pretty much sitting in a drawer, neglected and forlorn. The kids having exhausted their interest in Pet Shop and Cooking Mama games, had moved on to playing on our i-Devices. This could not stand, I said to myself. That's not real gaming, I protested. So I hatched a plan. First, I bought Professor Layton. Ostensibly it was for my wife, who also loves that kind of puzzle game, but I knew that my daughter would be interested. She was. Second, I got the NEXT Professor Layton game ready to give to her for her birthday. Third, I ordered a copy of the first issue of Nintendo Force, and left it around for her to read. In the space of 8 weeks, she's gone from wanting an iPad Mini as a reward for chore points (I give stars instead of cash, redeemable for prizes... each star is worth about $0.25) to wanting a 3DS. A 3DS! Good choice, my offspring, good choice. When I asked her why she made the change, she said, "I don't know, some of the games look interesting. Well, I want to play the latest Professor Layton, and that game with Layton X Ace Attorney... with all the finger pointing! Oh, and Animal Crossing." If you end your reason with the words, "Oh, and Animal Crossing" I think you automatically win. QED. Posted on February 17, 2013 by Eugene Huo and filed under Article and tagged 3ds Layton animal crossing gaming ipad iphone kids parenting. Voila! Launch the game and you should see the save game data from your Wii, now on the Wii U. It worked for me for Zelda Skyward Sword and Xenoblade Chronicles. I'm very happy I figured this out, because I didn't want to move my Virtual Console games over from the Wii, but I did want to free my save game files for these two long games that I had already put 20+ hours into. Success! Posted on February 15, 2013 by Eugene Huo and filed under Article and tagged how to nintendo system transfer wii U wii save game file. No kidding, Wii U virtual console saves won't read your Wii VC saves. I don't know why this is such a surprise. How did you think it would work? Posted on January 28, 2013 by Eugene Huo and filed under Article and tagged WiiU nintendo virtual console wii. The Wii U has launched in North America and Europe, with the Japanese launch around the corner. After having the system for about 2.5 weeks, I have some thoughts. Here they are, in no particular order. To me, the Wii U marks a change in Nintendo's approach to its console. With the Wii U, we've seen a Day One update, we've seen game patches, we've seen YouTube/Netflix/Amazon Video/Hulu app rollouts, we've seen a system update at the two-week mark. There have been more updates in the past 19 days than there probably have been in the 6-year lifecycle of the Wii. Make no mistake, the Wii U is an online console, and Nintendo sees it that way. In a way, it's refreshing to see Nintendo release system patches in a timely manner, as opposed to the glacial pace with which they updated the Wii. The Miiverse, well, that to me is brilliant. Let cordial conversation and drawings prevail, I say. Off to a good start. The eShop has a few faults, namely I feel it could be organized better, and there could be more demos available? That would be nice. However, the fact that pretty much all first party games and most third party games are available to download is great. It's already much much better than the Wii Shop ever was. Indie games are already making a big impact on the eShop, and I predict that many indie developers will find a home on the Wii U. The ability to see your downloads and redownload games you have purchased is super. I did this with both eShop games I purchased, just to test it out, and it worked fine. I know a lot of people complained that the Wii U didn't come with enough internal memory, and that you are forced to buy an external hard drive if you want to do a lot of eShop downloading. Many eShop games that have large file sizes will actually have a warning for Basic Set owners that they need to have an external drive in order to download this game. I'm ok with that, to a degree. If you're going to be downloading a lot of games for your console you probably want a big drive anyway, and they're so cheap now. Nintendo also neatly sidesteps the issue of price gouging for memory (have you seen the price of Vita memory cards?) and leaves it up to the consumer to find a good deal. I don't have a problem with that. Could Nintendo have given us more memory to start, maybe 32GB be basic and put 64GB in the deluxe? Perhaps. It would have been nice. But even 64GB is overshadowed by the 1TB drive I have attached. In the end I don't think it matters. Shiny black collects fingerprints. Be warned. Playing your games with the TV off, or while watching TV, is a near life changing feature. Seriously. I find myself reaching for the stylus when using the Gamepad. I'm not sure if it's because I don't want to get fingerprints on it, or if it's just more natural for me to use it like a DS. Obviously drawing messages for Miiverse is better with the stylus, but typing is faster with fingers. Nintendo should make a Draw Something game. There Nintendo, free ideas, right here. Menus are a bit slow. Depends what you're used to. Compared to a Wii they're a little bit faster. Whatever. I use the time to center myself and reflect on what game I'm going to play next, or how awesome that game I just played was. I understand people are experiencing freezes and locking up of their systems. So far I haven't seen it. Also people are bricking their systems during updates. That's a big problem that I really feel bad for people, and that Nintendo needs to solve so that it doesn't happen. I don't think they planned for that contingency, but clearly they should have. Any number of things would help: a more responsive progress bar, so people don't think that nothing is happening; smaller updates so downloads don't take so long; faster servers, again so downloads are quicker. Games perform great and look great. At least the games I've been playing. And if they don't, publishers are releasing patches. If games are coded for the system properly, they can achieve 60 frames per second and great looking visuals. Games like Nano Assault Neo (which is a paltry 50MB download, by the way... let that sink in) or Tekken Tag Tournament 2 don't have frame rate drop, look gorgeous, and pretty much set the bar for third party developers to get their stuff together and code their games right. Nintendo Land with 4 friends is a good time. People really dig Luigi's Ghost Mansion, a glorified game of tag, but man is it satisfying to catch people as the ghost! SO much fun. Nintendo Land by yourself is OK. Multiplayer is where it really shines, but I've had fun with the throwing Ninja stars game, and Donkey Kong Crash Course is a tricky challenge. I'm not regretting buying the Wii U day one. Not at all. I'm getting a lot of enjoyment out of it, and it's interesting to see how it's worked its way into a permanent fixture on the coffe table. One of the original hopes for the Wii was the people would turn it on and interact with it not just to play games, but to check the weather, or see news. It's why the original Wii menu is arranged into channels. I think the Wii U is Nintendo's next iteration on that concept, and with the Gamepad I think they've succeeded. I check Miiverse pretty much every day, even if I don't play a game every day, I have the Gamepad in my hands and I'm interacting with the Nintendo ecosystem. Posted on December 6, 2012 by Eugene Huo and filed under Article and tagged WiiU analysis miiverse nintendo land online thoughts. After hooking up my 1TB portable USB 3.0 drive up to the Wii U using the recommended Y-cable, I tried transferring Sonic All Stars Racing Transformed from the internal memory of the Wii U to the external drive. The whole process took just under 8 minutes to move 5.8GB of data. Last time I tried moving files over without the Y-cable and I ran into errors, so it's definitely mandatory that one use a Y-cable for stable operation. Thankfully the cables are pretty cheap, so it's not a big deal. I'm now looking forward to being able to download big games without worrying about storage, although with the 32GB internal memory of the deluxe it hasn't been an issue for me yet. Posted on December 3, 2012 by Eugene Huo and filed under Article and tagged USB external hard drive y-cable. Case in point: Sonic All Stars Racing Transformed. It's a 5.8GB download, which in itself took over an hour. Then when I launched the app for the first time it showed me 1:05 remaining time for the install. That's an hour and five minutes. It's long enough that last night I decided to go to bed rather than play the game. If there's something that needs optimizing, it's this. Sure you need to unpack the compressed files and install stuff. I get it, there's things to do. But it shouldn't take that long to install something, particularly to the internal memory. Posted on November 23, 2012 by Eugene Huo and filed under Article and tagged download eshop install long slow time. So I kind of jumped the gun on getting a hard drive for the Wii U. I purchased a drive before Nintendo released their complete information about which drives are supported, and mine kind of falls outside their supported list. Nintendo prefers that external drives be USB 2.0, and that they be externally powered via AC adapter. Provisionally, bus powered drives that use a two USB port Y-cable will also work. Alright, well, I'll just try it to see if it works, right? Plugging in a drive while the Wii U is on brings up a warning to power down the console before pluggingin USB hard drives. Regardless, it still brings up the "Do you want to format?" window. Just to be safe, I power down and restart the Wii U.
Formatting the drive takes 3 seconds. And voila, it's ready for use. I try transferring a game from internal memory to the hard drive. In my case, it's Nano Assault Neo, the only download game I have. It's only 50MB, and it transfers over pretty quickly. After the transfer it appears on my main screen the same as always, and launches and plays without problems. I do notice that the load time is a little bit slower than before, but gameplay is smooth and there are no problems. Emboldened by my experience, I decide to download another eShop game. You know, for 'testing purposes'. Sonic All Stars Racing Transformed is what I end up with. There's no other racers on Wii U yet, and it's $40. When I purchase, it doesn't ask me where I want to download it to, but when I check the Download Manager, it appears that it's downloading the 5GB file to my USB device. That's interesting that it doesn't let me choose, because I have ample space on my internal memory. I would have thought it would start with internal first, and then switch to external storage when capacity was limited. For whatever reason, it doesn't. I can always move it later, I guess. The download is going to take about an hour, it says, so I wait. So far, so good, things seem to work, at least with a small game like Nano Assault Neo. I'll come back and let you know how the larger game fares. As always, your mileage may vary. Please note that Nintendo does not officially support external bus powered drives without a Y-cable. UPDATE: The drive is not happy in its current configuration. The Sonic download stalled at about halfway, so I cancelled it. Just to check, I tried to transfer back Nano Assault Neo to the system memory. It can't do it, it gives me a "Cannot transfer" message. I can hear the drive spinning up and spinning down, repeatedly. So it looks like you really do need to heed Nintendo's advisory on hard drives! On the plus side, I am able to easily re-download purchases to my Wii U internal memory, so all is not lost. Well, except for my save data for Nano Assault Neo. Not a big deal, at this point. Posted on November 22, 2012 by Eugene Huo and filed under Article and tagged 3.0 USB WiiU compatibility download eshop external issues memory performance portable drive transfer. The Wii U is coming out on Sunday. Nintendo has detailed the process for transferring your Wii game save data, and downloaded games from the Wii to the Wii U. That's fine, and I get that people want to do that. But from what people have reported, it seems like its an all or nothing transfer, and it's a one time only event. Here's where I have a problem. I want finer control over what gets transferred and what doesn't. Specifically in my case I want to leave the downloaded Wii Shop games (Virtual Console and WiiWare) on the Wii. But I want to transfer my game saves and Mii's to the new system. Here's the rationale. There's no advantage to having my VC games on the Wii U. They will look just the same on my HD TV. My plan is to bump the Wii down to my old CRT TV and play virtual console games there. Where they will actually probably look half decent in standard definition. On the other hand, I still want to keep playing some Wii games on the Wii U, like Super Smash Bros Brawl or Monster Hunter Tri, without losing my game save data and being require to start from the beginning again. So I'm going to wait, in the hopes that Nintendo releases a transfer process that is a little more fine tuned, than the current all or nothing proposition. Who knows, maybe they'll surprise us on launch day with a tweaked transfer process? That would be a pleasant surprise! Posted on November 14, 2012 by Eugene Huo and filed under Article and tagged WiiU Wiiware data transfer virtual console wii.